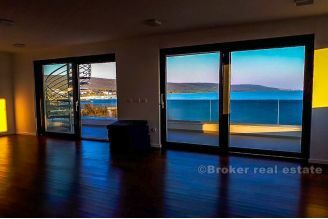 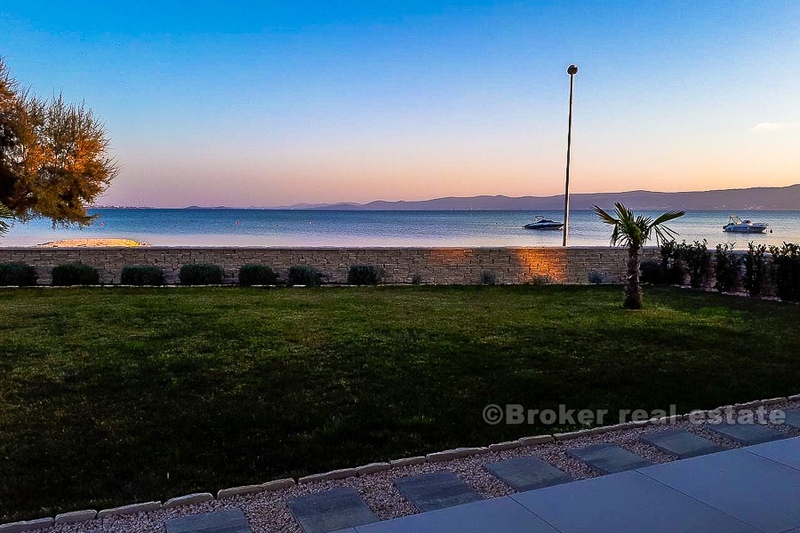 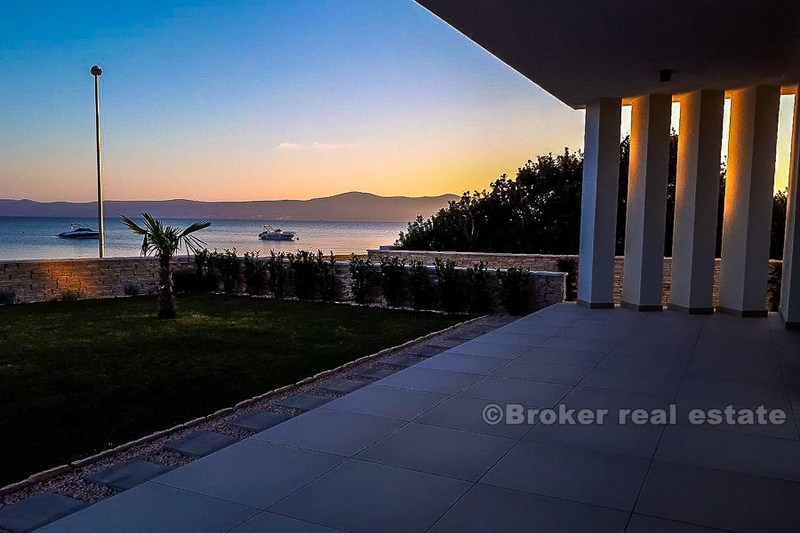 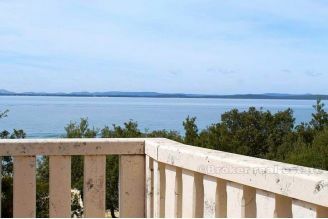 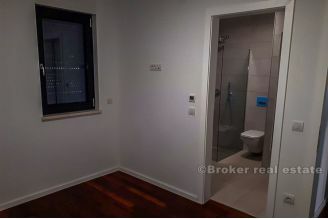 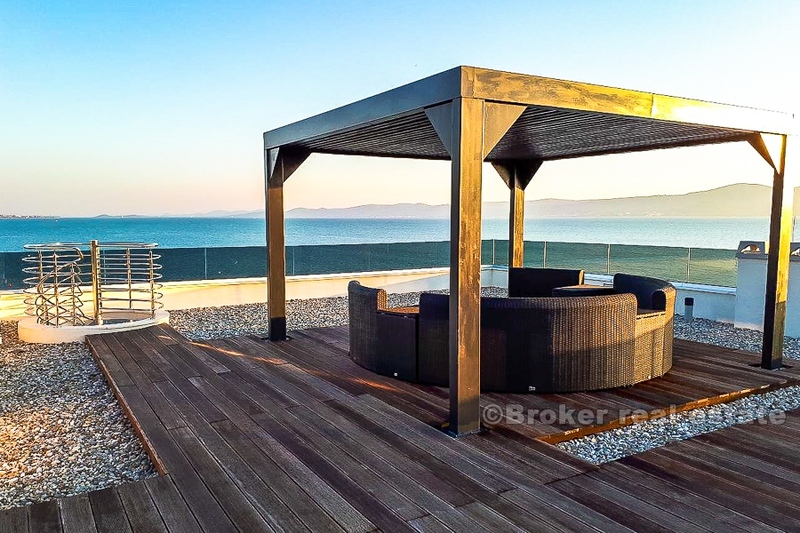 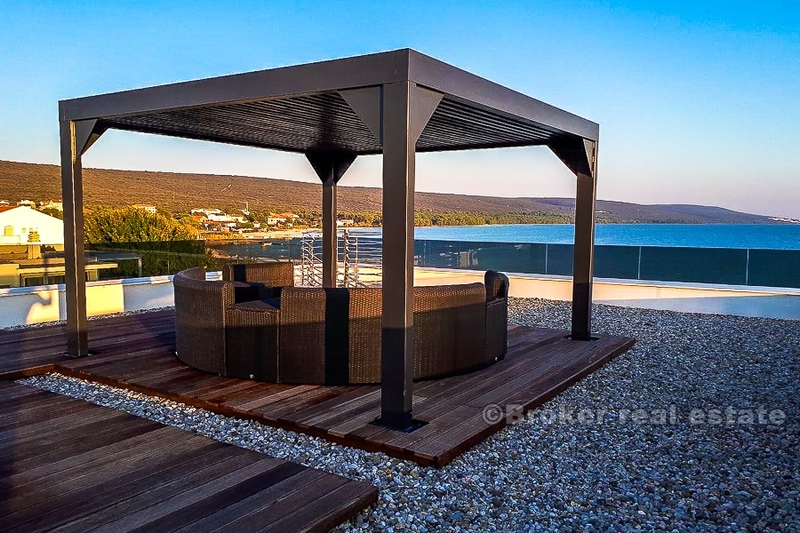 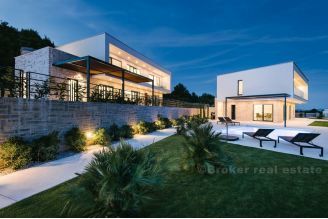 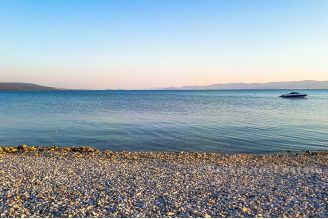 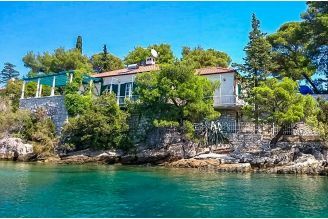 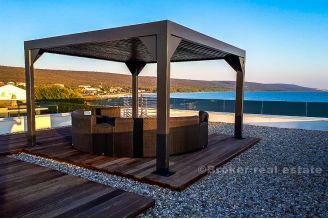 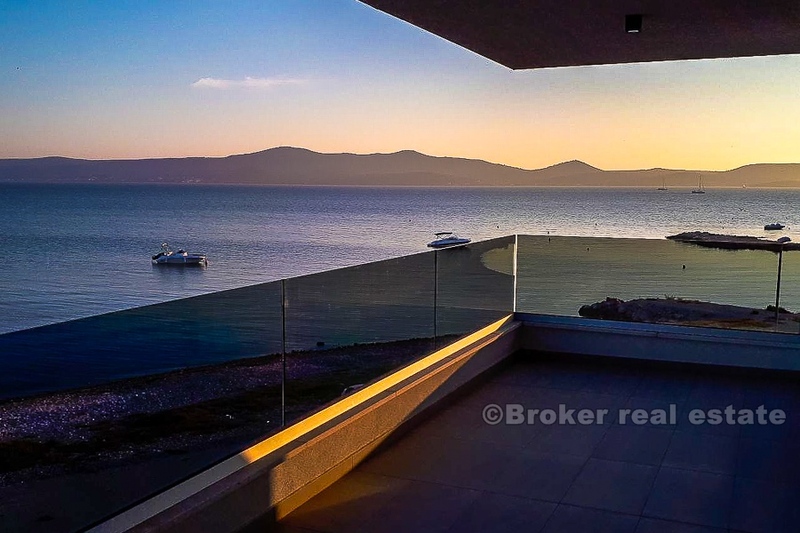 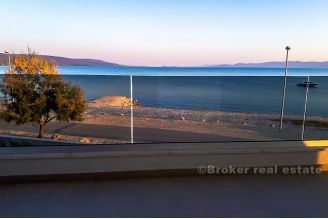 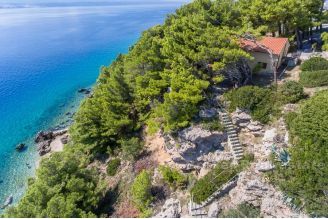 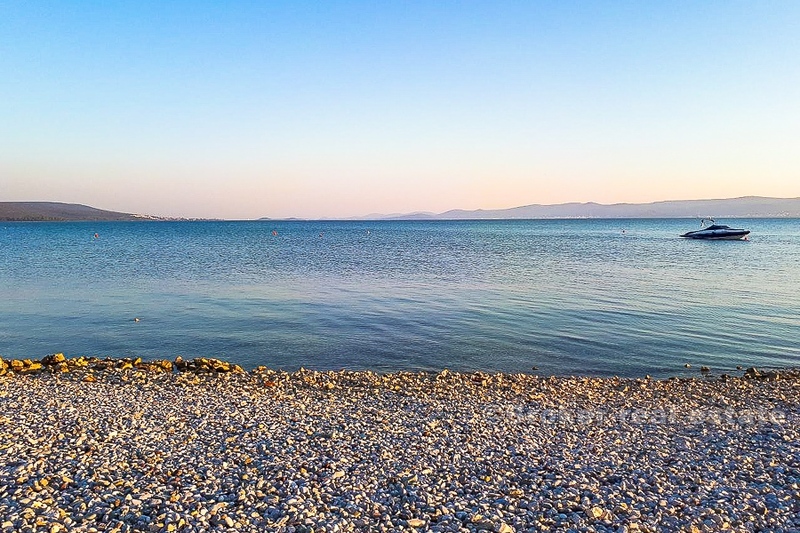 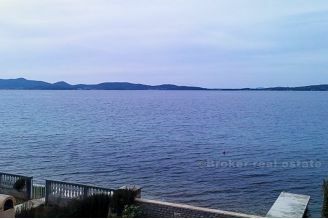 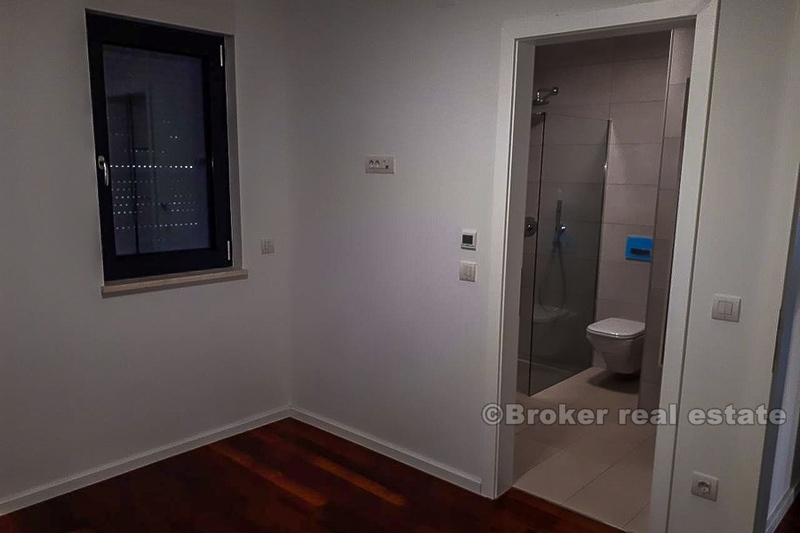 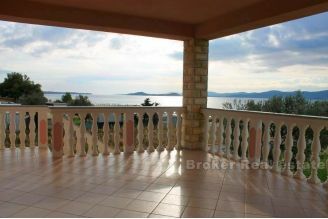 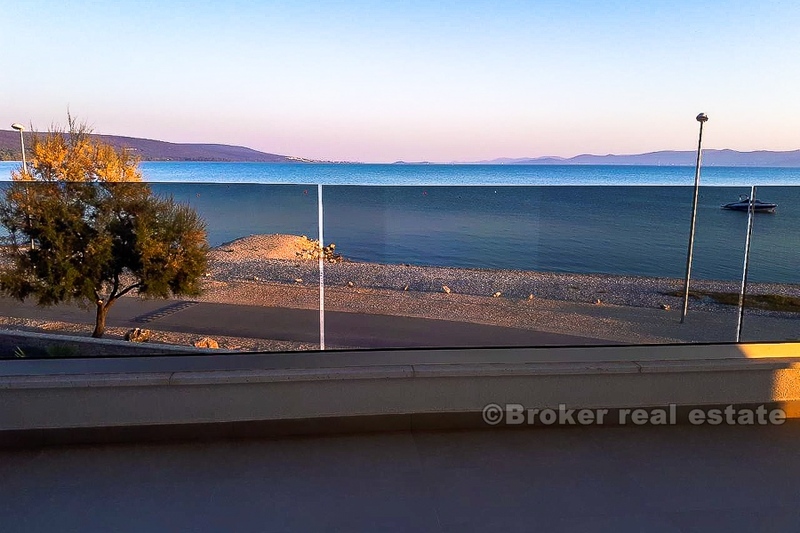 Newly built apartment house, located in the first row by the sea, for sale, located in a pleasant smaller tourist town a few kilometers away from Zadar. 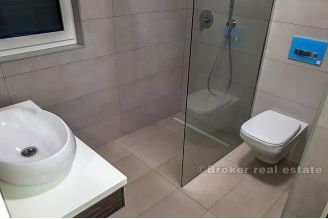 The apartments are located in a smaller modern apartment building of three apartments, each on its own floor, ie, ground floor with a garden, the first floor without additional space and a spacious penthouse with belonging roof terrace. 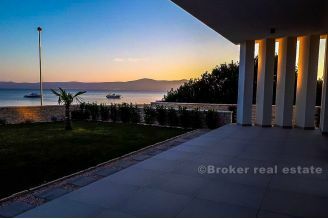 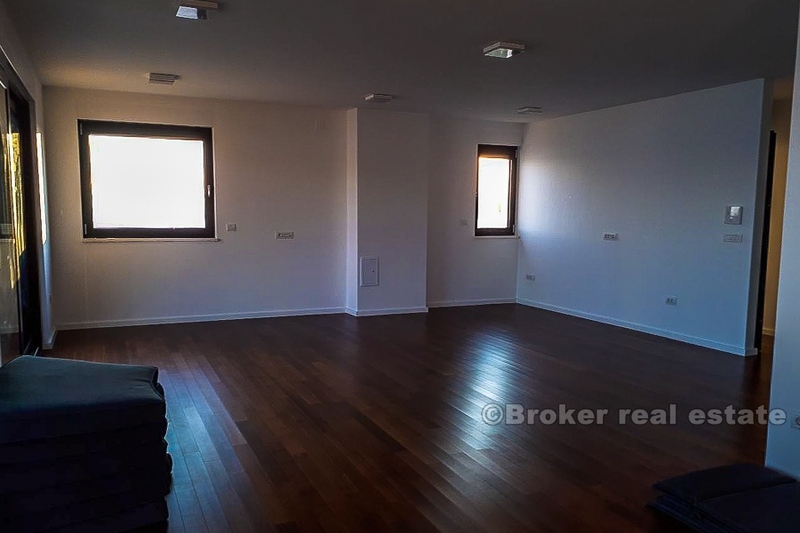 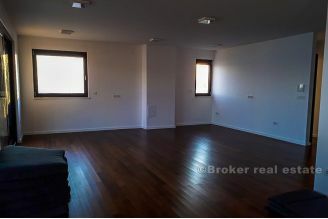 Apartment on the ground floor is a total area of ​​86 m2, and consists of two bedrooms, two bathrooms, living room, kitchen, dining room, storage room and a spacious covered terrace of 27 m2 and a garden of approx 50 m2. 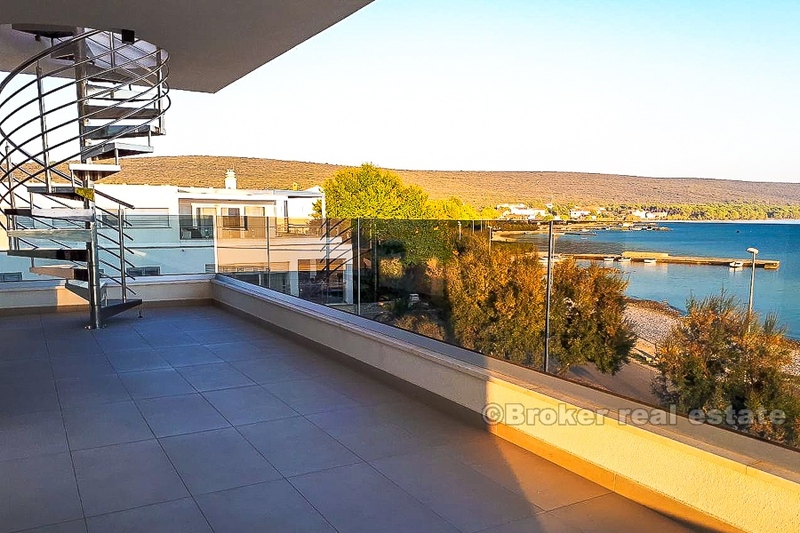 The apartment on the first floor has the same floor plan as the ground floor, total living area of ​​86 m2, and consists of two bedrooms, two bathrooms, living room, kitchen, dining room, storage room and a spacious covered terrace of 27 m2. Penthouse is located on the second floor, total area of ​​103 m2, consisting of three bedrooms, two bathrooms, a spacious living room, kitchen and dining room, and covered covered terraces of 26 m2 with stairs leading to the roof terrace on which It has a jacuzzi and a covered space for relaxation. 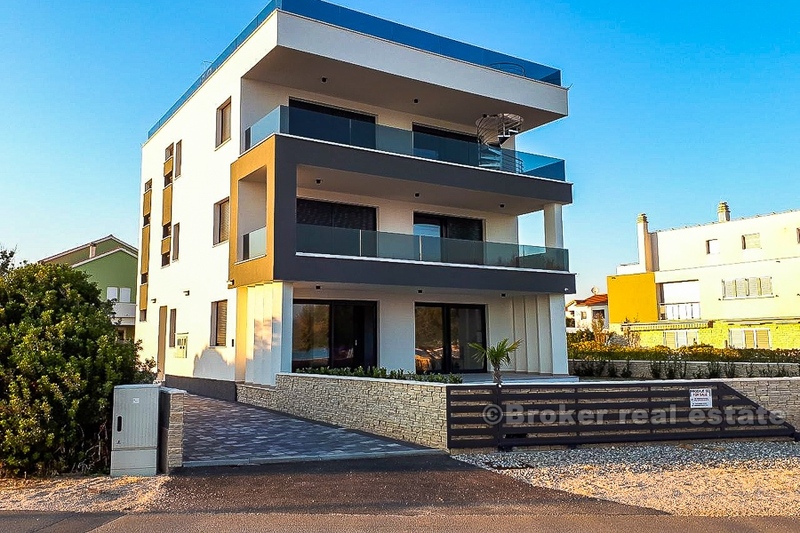 The whole building is high quality built and is modernly equipped, so all bedrooms are equipped with air conditioning, apartments are covered with video surveillance, electric shutters, alarm, video intercom, and each apartment has two parking spaces. 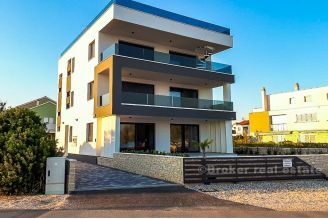 Apartments are sold uninhabited, and due to the beautiful position with the beach in front and open sea view, they represent a high quality modern offer that provides enough privacy, yet it meets the needs for a more urban way of life, considering the vicinity of Zadar as the nearest major city where all the necessary facilities for a pleasant stay can be found.